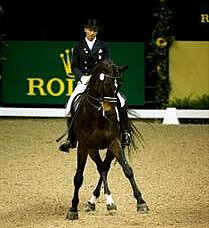 Ravel and Steffen Peters winning the 2009 FEI World Cup Dressage Final. January 15 2010 Louisville, KY – Annually, five of the USEF’s 130,000 registered horses achieve so much in a year that they are named USEF Horses of Honor and enter the running for the title of Farnam/Platform Horse of the Year. In 2009 all five of these horses were nothing short of remarkable. But one forever changed the face of his sport, and with that, Ravel was voted the 2009 USEF Farnam/Platform Horse of the Year. It began in April at the FEI World Cup Dressage Final when, with the weight of a nation on his 11-year-old shoulders, Ravel trotted back into Las Vegas’ Thomas & Mack Arena after winning the Grand Prix to perform his Freestyle. 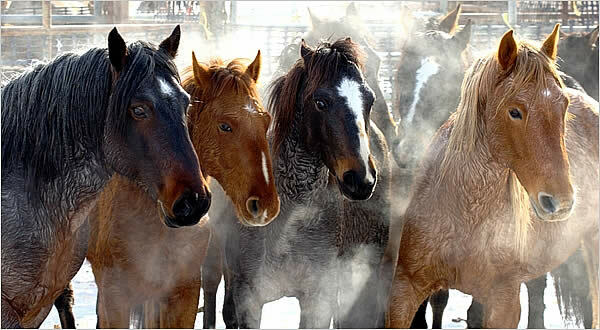 Sheryl Crow & Willie Nelson Shout Out for Wild Horses – Take Action! Dear Supporters, the excellent People Magazine article by Helin Jung starts out: Willie Nelson wants to know: “Why are there more horse’s asses than there are horses?” The country legend’s gripe comes from his concern for the American West’s wild horses and burros, which are being rounded up by the thousands and placed into holding corrals by the federal government’s Bureau of Land Management. The capture of 2,500 horses started in the Calico Mountains of Nevada last month, but the agency expects to round up a total of 12,000 of the estimated 37,000 horses on BLM land by the end of this year. Read the whole article here on the People Magazine website, and then take action! Protests continue: join the New York City protest on Sunday, the Reno protest on Monday and/or the Sacramento protest on Thursday the 21st! Click here for details. Peter Pletcher and HH London Dominate the Western Hay & Suncoast Bedding First Year Green Working Hunter Championship at the FTI Winter Equestrian Festival. 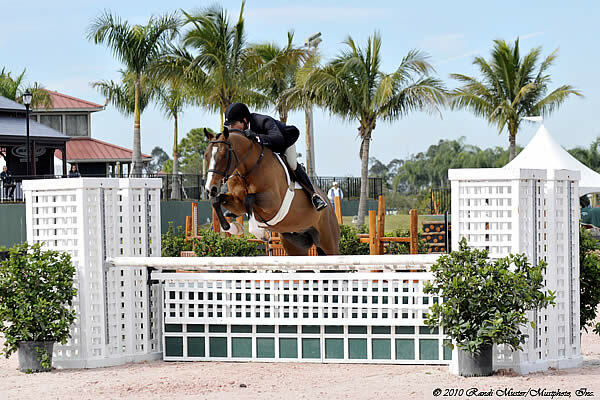 Wellington, FL – January 14, 2010 – Today the first championships of the 2010 FTI Wellington Equestrian Festival were awarded in the professional hunter divisions. The Green Working hunters, sponsored by Western Hay & Suncoast Bedding, took center stage in the Rost Arena this afternoon. Can you feel when your horse’s hind legs are on the ground? This is an important skill to develop because you want to time your leg aid so that you give it when your horse’s corresponding hind leg is on the ground. In fact, the exact moment to influence a particular hind leg is just as it’s getting ready to push off the ground. 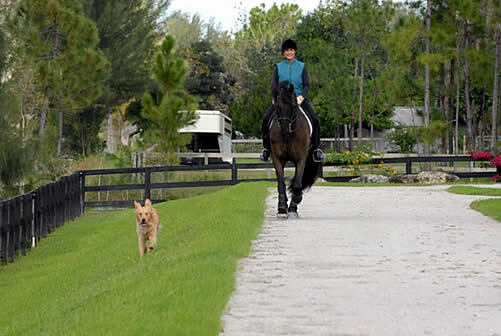 You can learn to feel where the hind legs are by feeling your horse’s hips. 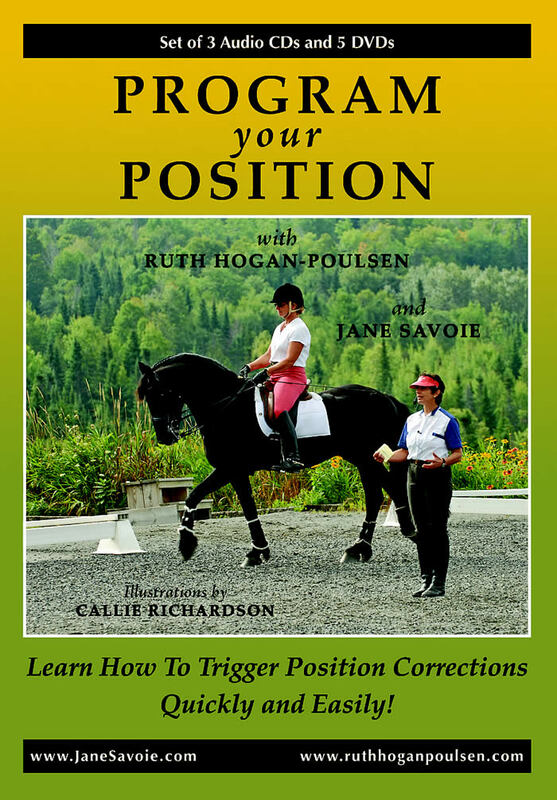 When a particular hind foot is on the ground, your horse’s hip is higher on that side. It feels like your corresponding seatbone is being pushed forward. The North Florida Hunter Jumper Association five week 2010 Jacksonville Winter Series will run from January 6th – February 7th, 2010. This will be the 16th year of the annual Winter Series, which has donated over $900,000 to local charities over the years, including the Clay County 4-H and has an annual economic impact of over $16 million to the surrounding community. The first week of competition, the Jacksonville Kick-Off, runs from January 6-10, 2010. It is an “AA” nationally rated horse show and will feature a $10,000 Jumper Classic. Perhaps the most exciting of the weeks is the second week of competition. The Jacksonville International will be held from January 13-17, 2010. It is an “AA” nationally rated horse show that also boasts the $125,000 Green Cove Springs CSI-W. The $25,000 Welcome Class will be held on Friday, January 15th and the $100,000 World Cup Qualifier Class will be held on Saturday, January 16th. These two classes will draw a large and very exciting field of national and international Olympic riders and their mounts. A children’s carnival, rides, pony rides and a petting zoo will be offered to entertain the young and young at heart during the day. Admission is free with a $5 donation for parking. All proceeds from the day’s events will benefit the Clay County 4-H Foundation. 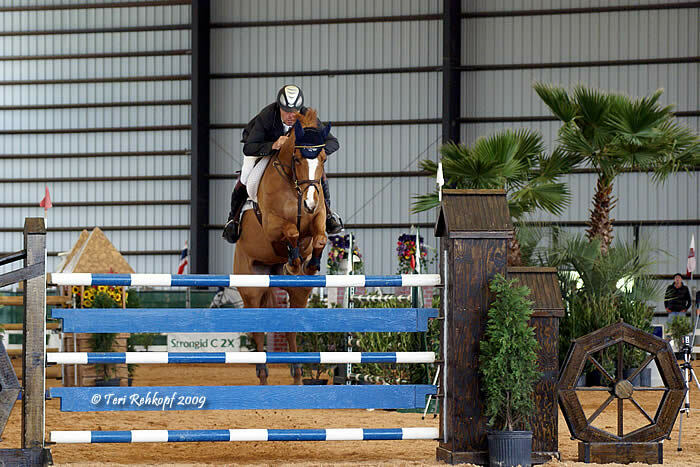 The Jacksonville Mid-Winter, January 20-24, 2010 follows with its own attractions, including “AA” nationally rated hunters and jumpers. The highlight of the weekend will be the $5,000 Welcome Class to be held on the afternoon of Friday, January 22nd in addition to the $25,000 Marco Family Foundation Grand Prix on Saturday, January 23rd that will benefit Horses for Heroes and the Wounded Warriors Programs. Cedar River Seafood will cater a reception for Exhibitors and Sponsors prior to the event. A string of pearls generously donated by Beard’s Jewelry and cufflinks generously donated will be auctioned off to raise money for the worthy causes. The $10,000 Jerry Parks Hunter Classic will be held the evening of Friday, January 22nd. This Hunter Derby type class is always spectacular to watch in the big covered ring under the lights! The Jacksonville Winter A to Z ~ January 27 – 31, 2010 features “AA” nationally rated hunters and jumpers, a $5,000 Welcome Classes to be held on the afternoon of Friday January 29th in addition to a $25,000 Grand Prix to be held the evening of Saturday, January 30th. Exhibitors and sponsors will be treated to an Exhibitor Party on Saturday evening preceding the Grand Prix in addition to a Pizza Party Luncheon on Saturday during the day at the rings. The series concludes with the fifth week, the Jacksonville National that runs from February 3 – 7, 2010. It also features “AA” rated hunters and jumpers. The final $5,000 Welcome Class will be held on the afternoon of Friday, February 5th and the final Grand Prix will be held on the evening of Saturday, February 6th. All events are held at the Clay County Fairgrounds on SR 16 W in Green Cove Springs, FL. Each week of competition draws approximately 550 to 600 horses, which is the full capacity of the show grounds. Our exhibitor base draws heavily from North Florida and South Georgia and the entire East Coast. It includes international riders from approximately 25 states, three provinces of Canada, New Zealand, Brazil, Columbia, Ireland and Mexico. We are very proud to be chosen one of the only 12 shows in America to host a World Cup Qualifier. Sponsors are in front of a very qualified audience for each of the five weeks and are in very good company. Some of our sponsors include, but are not limited to the following: Glen Kernan Golf & Country Club, Hodges Boulevard Development Group, Inc., Ring Power, John Deere, Mac Paper Company, Greene Hazel & Associates, the Marco Family, SKANSKA USA Building, Inc., Arlington Toyota, Auld & White Constructors, Inc., The Gift Horse, Pat’s Nursery, Ronnie’s Wings, Top of the Reef, Rick Baker’s RV Sales, Clay County Tourist Development Council, The Bruning Foundation, SunBelt Springs Water, Woody’s BBQ, Bridlebourne Stables, Baptist Primary Care, James D. Hinson Electrical Company, Jerry Parks Insurance, Diamond D Trailer Sales, Corrigan Trailer Sales, Canadian National Railroad, Six Mile Marina, Club Continental & Cedar River Seafood. Please visit http://www.nfhja.com/ or http://www.classiccompany.com/ for further information. January 05 2010 – If spreading manure and draining waste water onto plants is your idea of going green you may be in for a big surprise. As large scale agriculture production facilities alter their management strategies to become more environmentally conscientious the spotlight transitions to the small farmer. In an effort to provide up-to-date information on green equine initiatives, the Kentucky Horse Council (KHC) recently added a Going Green page to the Farm & Business segment of their website. The page includes links to information and articles featuring green horse farming techniques and tactics. Lexington, KY (December 21, 2009) – The United States Dressage Federation (USDF) would like to congratulate the eleven-year-old, 16.3 hand, Dutch Warmblood gelding, Ravel, owned by Akiko Yamazaki of Woodside, California, and ridden by Steffen Peters of San Diego, California, for being named 2009 Adequan/USDF Grand Prix Horse of the Year. Ravel’s median score of 75.574 percent made him the top horse in the United States competing at this level and the recipient of USDF’s highest honor. Ravel was recognized at the 2009 Adequan/USDF Salute Gala and Annual Awards Banquet with a certificate, a commemorative personalized plaque, an embroidered cooler and $400 gift certificate provided by Dressage Extensions, and a gift certificate for Adequan joint therapy. Also, Ravel is the recipient of the Colonel Thackeray Award and will have his name engraved on a silver trophy to be on permanent display in the Roemer Foundation/USDF Hall of Fame housed at the USDF National Education Center, located at the Kentucky Horse Park. “We are thrilled to be able to recognize this extraordinary horse for his many accomplishments this competition season, and look forward to his future successes,” stated USDF Executive Director Stephan Hienzsch. For more information about the Adequan/USDF Horse of the Year awards or to access a list of past and current recipients, visit the USDF Web site at www.usdf.org, or contact the USDF office at usdressage@usdf.org. My New Years resolution is to improve my riding. If you share a similar goal or resolution, I can recommend an incredible tool that I have been using, Program Your Position. This is an amazingly effective “program”, and I can honestly say it has helped my position immensely. The program, developed by Ruth Hogan-Poulsen and Jane Savoie, has three components. These include 5 DVDs, 3 audio CDs and an illustrated pocket guide. No matter how you absorb information most effectively, Program Your Position has you covered. Personally, I like all the audios and illustrated pocket guide the best. But I must add that the DVD segments are like attending a clinic. Long Beach Mounted Police all-Palomino troup, Tournament of Roses Parade, 2009. Photo: "Courtesy of the Tournament of Roses Archives". 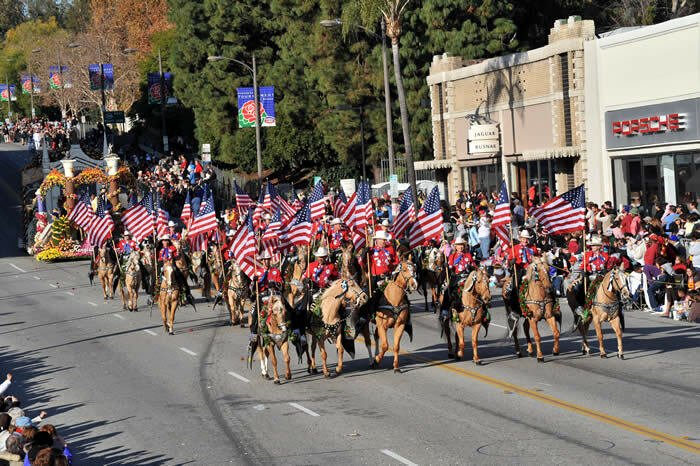 What horse lover hasn’t marveled over the all-Palomino horse troupe in the annual Tournament of Roses Parade? Prancing golden horses in shining silver-encrusted saddles, their riders bedecked in colorful costumes and waving red, white, and blue American flags; it’s a sight to stir anyone’s patriotic sentiments. Me, I just drooled over the horses, trying to decide which would be the fanciest mount for my own dream parade. Their first year, 1948. Photo: "Courtesy of the Tournament of Roses Archives"
with the LBMP celebrating their 75th anniversary in 2010.
of the LBMP, says the all-volunteer riders are really ambassadors for the LBMP and the city of Long Beach. I’ve been getting a lot of emails from people who are confused about how to straighten a crooked horse. Here’s a quick video clip that might help you.